In a just released “Open Doors Report” published by the Institute of International Education (IIE), among master’s level institutions Belmont University ranked No. 5 nationally for participation in short term programs and landed at No. 9 for overall study abroad participation (combined short term, semester, and year-long programs). 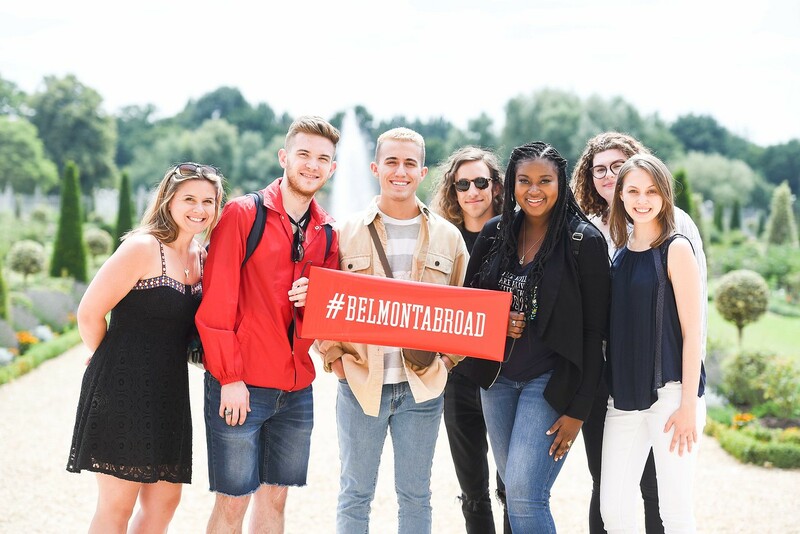 With a Vision 2020 emphasis on increasing participation in the University’s study abroad programs, Belmont’s numbers have risen dramatically in recent years, from 467 students in 2013-14 to 894 this past year. Today’s report, which was based on study abroad numbers from 2016-17 when Belmont had 855 students participate, highlighted the growth of study abroad programs across the country as nearly 333,000 U.S. students received credit last year for study abroad, an increase of 2.3 percent over the previous year. With almost 900 students studying abroad last year, Belmont focuses on keeping up with student demand and creating new and engaging experiences. New study abroad opportunities for students in 2019 include programs in Jamaica, Norway, Prague, the Bahamas, France and Germany, among others. Nearly 950 students have already submitted applications to study abroad next year, and with deadlines in February for summer program applications, that number is expected to rise. IIE’s report is published annually in partnership with the U.S. Department of State’s Bureau of Educational and Cultural Affairs.